Ethereum Classic (ETC) hailed as the original Ethereum was originally meant to be an abandoned project. When Ethereum (ETH) came into existence, most developers and miners assumed that everybody will just shift to the newly created fork (ETH) and the old project will be left to die. However, believers in principles of immutability and decentralization continued to work on the project. 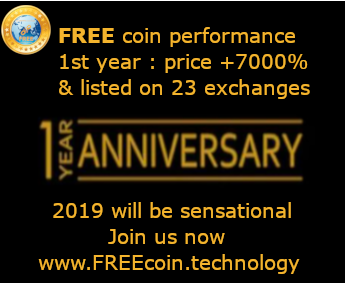 Even to their own surprise, the project surpassed the expectations of many as it received recognition for being the top 4 coin in terms of progress made for the year of 2017. Charles Hoskinsons from IOHK, one of the masterminds of Etheruem Classic remarks that until now we were just trying to survive, meaning they were just trying to keep the vision alive. They are just getting started with the project. Ethereum Classic which trades $20.426 at the time of writing rose to a high of $48 before falling down with the rest of the market. The coin was still considered undervalued when it was at $48 and if it weren’t for a market correction, analysts were expecting further gains. It is important to note that Ethereum Classic (ETC) and Ethereum (ETH) are two coins of the same kind and have no significant differences apart from popularity, use and hype. As Ethereum Classic (ETC) was abandoned, almost all Ethereum ICOs were held on Ethereum(ETH) which gave Vitalik Buterin and his team enough funds to develop and promote more aggressively. As a result, Ethereum (ETH) received a lot of attention and hype whereas Ethereum Classic remained ignored for the most part despite the stellar achievements it made given its low budget and support. Ethereum Classic (ETC) is still one of the most undervalued projects in the market. The team recently held an airdrop for Callisto sidechain which will help the Ethereum Classic (ETC) solve scalability issues. Ethereum Classic (ETC) also has a deflationary economy unlike Ethereum (ETH) which means there are a limited number of coins which will appreciate in value over time. As for Ethereum (ETH) the total number of coins that will ever be in existence is not known. This has been deliberately kept this way so Ethereum (ETH) can print more Ether (ETH) any time they want to bail out any future DAOs or hacks at the expense of your investment. Ethereum Classic (ETC) is currently up 5.9% against Ethereum (ETH) and is on the verge of a breakout. This breakout could most likely coincide with the announcement of Ethereum Classic’s Emerald Wallet on the 30th of April. This is a strong indication of an imminent bull run for Ethereum Classic. The coin has remained undervalue against its fork coin (ETH) for far too long. Ethereum (ETH) is almost 32 times bigger than Ethereum Classic (ETC) in terms of market cap whereas Bitcoin (BTC) is only 6 times bigger than Bitcoin Cash (BCH). This difference looks even more unreasonable and unjustified when you compare the technology, use cases, performance and team behind Ethereum Classic (ETC) with that of Bitcoin Cash (BCH).